A general contracting license will not be a requirement by Rhode Island State. Although, any individual who is involved with the business of repair, remodeling, alterations, home construction, or commercial construction will be required to have a valid and current certificate for registration. It is best to check with your local county and city for their regulations and requirements. If you build, repair, or remodel one- to four-family dwellings in Rhode Island, you must register with the Contractors’ Registration Board. Some specialty trades must be licensed in Rhode Island. There will be no license that is required by the state for general contractors. Although, the state of Rhode Island does require an individual who has a business of repair, alterations, home construction, or commercial construction to residents, with a total of materials and labor of $500 to have a valid and current certificate of registration. The certificate with be sent out by the Contractor Registration and Licensing Board. A state, town, or city will not give out a building permit to any individual who is required to have registration, who doesn’t already have a valid and current registration. Check with your county and city for further regulations and requirements. Electricians, plumbers, and asbestos abatement contractors, as well as other specialty trades will need to have a license through an agency in Rhode Island. The individual will not have to obtain a contractor registration, unless they wish to work outside of their license. Valid certificate of insurance regarding the specific type of work being done. The individual’s business address and name, as well as residential address. Experience, Exam, or Education Requirements: Are There Any For Rhode Island Registration? No, there are no requirements to register to be a contractor. Although, the asbestos abatement contractors, plumbers, and electricians as well as certain specialty trades will need exams and education. Continued Education: Does Rhode Island Require It? No, there won’t be requirements for registration. The individuals will need to renew their registration each two year periods. NASCLA Commercial Contractor License: Does Rhode Island Accept This Accredited License? General Contractor, Commercial Contractor License: Is This a Requirement for Rhode Island? No, this is not a requirement. However, the registration law will apply to each remodeler and contractor. If the contractor builds any commercial structures or develops land, they will need to be registered. Does Rhode Island Have Reciprocity With Any Other States? Each out-of-state contractor who wishes to work, remodel, or build while being a subcontractor in the State of Rhode Island will need to register. Subcontractors, remodelers, and contractors who don’t have a registration that is valid won’t have the privilege to work, obtain, or bid a building permit as well as be able to file a law suit or file a lien for compensation for any work done. There will be up to a $5000 fine for a first offense and then up to $10,000 for a second offense, which may be imposed for being non-compliance. Having three or more than three offenses during a period of 24 months will result with felony charges. 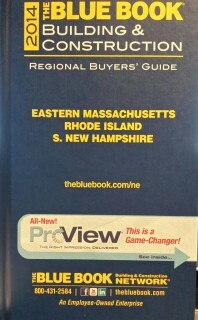 Question: How do I register my construction company in Rhode Island? What forms do I need to register my new company in Rhode Island? Question: How do I look up a company in Rhode Island or see if a company name is available to register?